MassMutual gave 1,513 Americans a 10-question, true-or-false Social Security quiz. Only one got every answer right. The full Social Security retirement age depends on birth year. 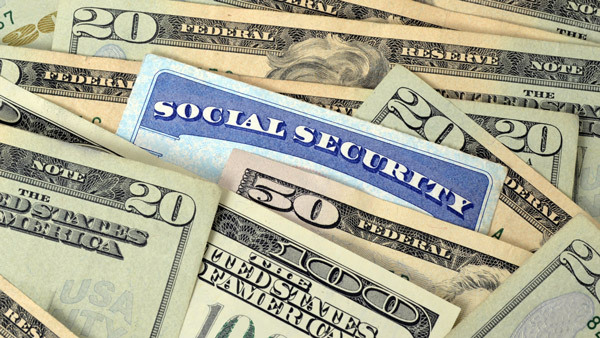 What you don’t can hurt you, and it appears many Americans don’t know a lot about Social Security retirement benefits. Massachusetts Mutual Life Insurance Co. found that only 28% of American adults surveyed could answer basic questions about Social Security retirement benefits, and just 8% considered themselves to be very knowledgeable. The survey, which included a 10-question, true-or-false quiz about Social Security facts, found that nearly all participants had at least one misperception. Only one respondent, out of 1,513 surveyed, answered all true/false questions correctly, MassMutual said in a statement. KRC Research conducted the online survey earlier this year among 1,000 non-Hispanic and 513 Hispanic Americans ages 18 to 65. “Perhaps the greatest Social Security deficit in this country is the lack of education around the retirement benefits of the program, which presents an opportunity and responsibility to financial professionals,” Michael Fanning, a MassMutual executive vice president, said in the statement. The research also showed knowledge gaps about Social Security eligibility that could negatively affect planning and saving for retirement. Three-quarters of survey respondents incorrectly thought it was necessary to be an American in order to receive Social Security retirement benefits. Seventy-one percent believed that full Social Security retirement age was 65. In fact, retirement age varies depending on birth year. And 55% incorrectly thought they could continue to work while collecting full Social Security retirement benefits regardless of their age. The survey showed that Americans were optimistic about Social Security’s future, as 63% of respondents believed retirement benefits would be available to them at retirement, with 25% strongly believing this. However, only 45% thought the program would have sufficient funding when they retired. Possibly in response to that eventuality, only 39% expected to rely more on Social Security than on their personal savings or income in retirement, and just 15% expected to rely solely on Social Security. “Americans who lack the proper knowledge and information about Social Security may be putting their retirement planning in jeopardy,” MassMutual vice president Phil Michalowski said in the statement.